How will your Christmas look this year? Will you be auditioning for the role of Santa Claus or will you have the summer body you've been dreaming of? Why not make this festive season your healthiest yet. Get on board with a fantastic program which is not only easy to follow but actually does what it says. Give yourself an amazing gift this Christmas - the gift of health & happiness. Christmas, for many it doesn't feel like cause for celebration because this time of year can bring up feelings of sadness, loneliness, depression, or anxiety. Some people feel stressed from being overbooked or left out. Some people worry about affording all the travel and gifts. Others might be facing their first major holiday without a loved one whom they recently lost. 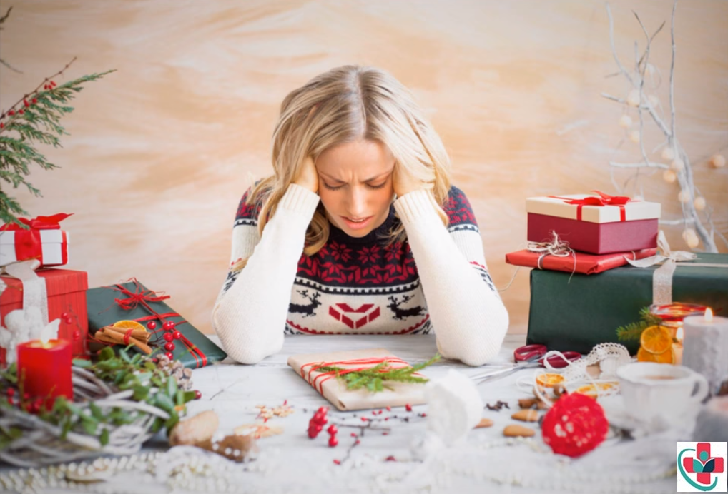 There are a million different reasons that holiday stressors can turn into the holiday blues. If you're feeling down this season, here are some simple steps you can take to lift your spirits. When you start feeling stressed, run away. Notice that I didn't say " if you feel stressed"? Stress is very contagious. If you're prone to feeling stressed or overstimulated, then you're likely to feel it during the holidays. Current holiday traditions are a perfect storm for stress: ~An abundance of bright blinking lights, crowds, and traffic, high-fat meals and treats, overspending, and constant fast-paced music (often with jingle bell beats). Your senses become overloaded and sometimes you need to get away and rest. I get it — sometimes staying at home is the more appealing option. But spending time with those you care about can help you feel connected to others. Reach out to the people with whom you can be yourself for one–on–one or small group gatherings. If the people you love don't live nearby, schedule a time for a video call. Just seeing a loved one's smiling face can make a big difference in your mood. If you're feeling isolated or lonely, try volunteering in your community. Stock shelves at the local food bank, help out at a nursing home or spend time at a nearby animal shelter. It feels good to help others, and you might find you have a skill that your community really needs. Plus, volunteering is a great way to surround yourself with other people and take your mind off of your worries for a while. A recent article encouraged people to avoid looking at social media during the holidays. Pictures can be misleading and make it look like people are having a lot more fun than they actually are. Social media allows people to share their best moments, which aren't always an accurate representation of everyday life. Try to remember that your friend with the "perfect" life has bad times, too — they just don't share those pictures. You probably see exercise as a must–do on every health-related list you ever read. It's there for a reason. Exercise has a long list of benefits, including helping you deal with stress and anxiety. If it's too cold in your area to enjoy a walk or run, now is a good time to see what workout DVDs are available at your local library. There are smartphone apps that can also guide you through a workout. For some people, the winter season means Seasonal Affective Disorder (SAD) brought on by lack of sunlight. People with SAD experience many of the same symptoms as people with depression. If you find that you have these kinds of symptoms every year or for months at a time over the winter season, talk to your doctor. People with light to moderate SAD may find relief by spending extra hours outdoors, while people with moderate to severe SAD often benefit from light therapy and/or antidepressants. Have fun without overdoing it. Enjoying good food and drink is part of what the holidays are all about, but set limits for yourself, especially with alcohol. At the moment, it may seem like a stress reliever, but alcohol is only putting any feelings of stress or anxiety on hold. It doesn't solve any problems, and it can make things worse. Be honest about how you're feeling. Sometimes the hardest part of this season is thinking you should feel a certain way, even when you don't. Don't force it. When friends or family ask how you're doing, be honest. You never know who else might be feeling the same way. If there's something your friends and family can do to make the holidays more enjoyable for you, tell them. No one but you knows what you need. But if you feel like you've tried everything and you still feel down, consider getting help from a professional. Talking to a therapist, even for a few weeks, might be just the boost you need to get over your holiday blues and feel yourself again. Don't apologize or make excuses. Be proud when confronted. Some folks will try to make you feel guilty (and may succeed, but this too will pass). Just smile and declare, "I decided not to stress myself out this year. I wanted to focus on being together with friends and family."